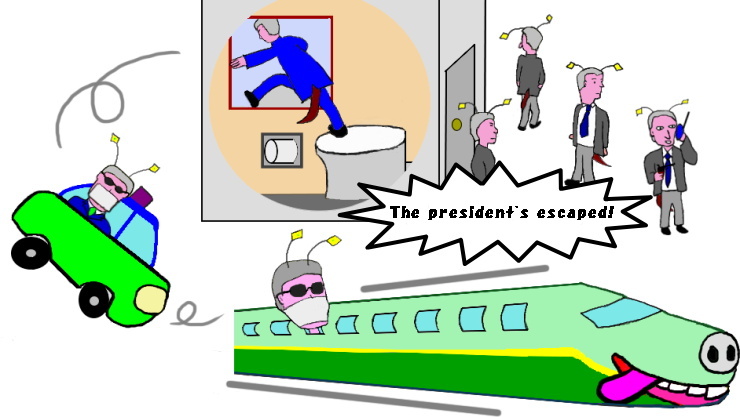 The president has escaped from the window and ran away. The president went into a bathroom and escaped from the window without being noticed. Wearing a pair of dark sunglasses and a mask, the president boarded the train in disguise. ©2007For world peace, picture books of Wa (harmony, peace and love) to heal the world.